Below are a few of our assets that we think you will find most useful. MailChannels Inbound Filtering is a cloud-based spam filtering service designed to help web hosts protect their clients from malicious email threats. Improve your email deliverability while boosting security. Learn how MailChannels can protect your IP addresses against blacklisting. What is an Outbound SMTP Relay Service? A review of European and German data protection legislation as it applies to MailChannels Cloud and Dedicated Solutions. Read how spammers damage the reputation of service providers and cause email delivery issues. 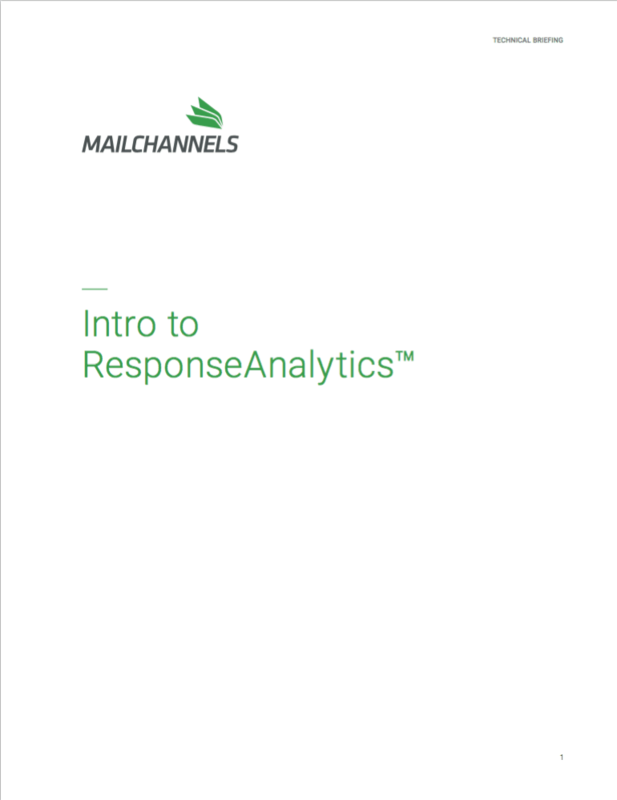 Read how MailChannels mines SMTP responses for valuable insights that can help thwart outbound email abuse — an industry first.